During the summer months, stone fruits are in abundance! Turn them into this simple spin on classic fruit crisp. Make sure to look for well-ripened nectarines with a smooth surface for the best flavor. 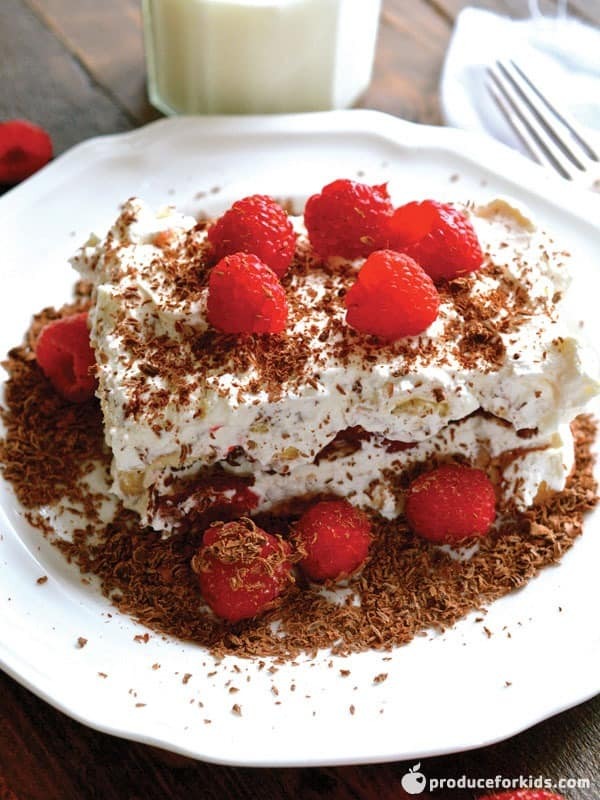 Recipe and photography by Noelle of Opera Singer in the Kitchen. During the summer months, stone fruits are in abundance! Turn them into this simple spin on classic fruit crisp. Make sure to look for well-ripened nectarines with a smooth surface for the best flavor. 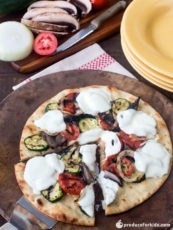 Recipe and photography by Noelle of Opera Singer in the Kitchen. The fiber content of a nectarine helps to add bulk to the diet, regulate bowel movements, and prevent constipation. Mix oats, ¼ cup brown sugar, butter, pumpkin seeds and cinnamon in medium bowl. 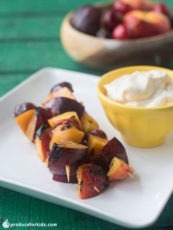 Place nectarine halves on parchment-lined baking sheet. Sprinkle each half with ½ tsp. brown sugar and top with oat mixture. Bake 10 minutes, or until oats are browned and nectarine is softened. Mix cream and powdered sugar in medium bowl with electric hand mixer until stiff peaks form. 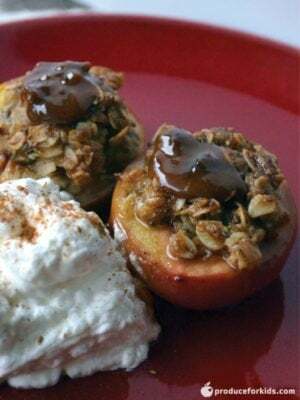 Top nectarines with whipped cream.